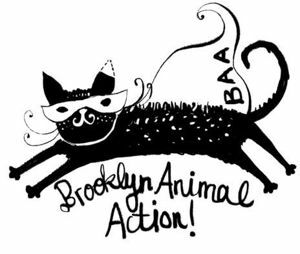 Brooklyn Animal Action is an all-volunteer non-profit organization dedicated to improving the lives of Brooklyn’s animals. We are a rescue group with animals in foster homes. 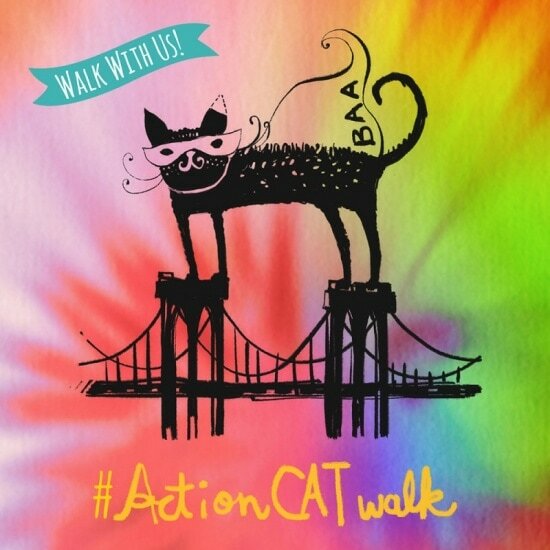 Brooklyn Animal Action is having a Walkathon tomorrow, May 14, across the Brooklyn Bridge. They will be meeting at 10:00am in Manhattan’s City Hall Park by the fountain (between Park Row and Broadway), with a post-walk celebration held at the first exit off the bridge at Rocco’s Tacos, 339 Adams Street, for anyone who would like to come! 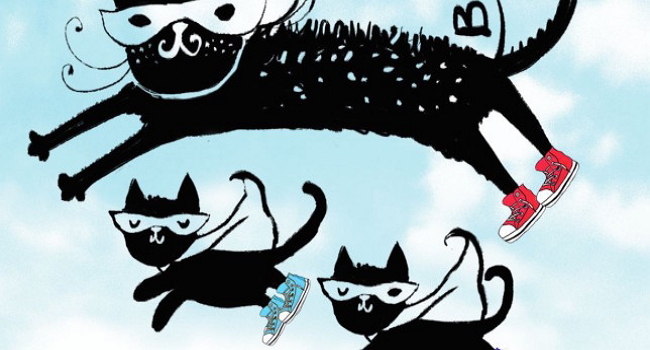 I first became aware of Brooklyn Animal Action when coming across the Cats in Hats project, a program created to draw attention to adoptable kittens, as well as to the organization. In reaching out to BAA, I connected with Belinda, the Group’s Vice President, and took the opportunity to learn more about them. Brooklyn Animal Action is an all-volunteer non-profit organization dedicated to improving the lives of Brooklyn’s animals. We are not a shelter, but a rescue group with animals (mainly cats, but occasionally dogs) in foster homes. We have a core of several coordinators and on-the-ground rescuers and a large group of volunteers who help with all sorts of things: transport, adoption events, administration, social media, fundraising and all the many other tasks that nonprofit animal rescue work requires. We work with a number of veterinarians in Brooklyn who provide generous discounts, and also work with the ASPCA and the Toby Project/Ferals in Peril, both of which provide free spay/neuter. Our funding comes from adoption fees, fundraising events, and donations from individuals and some larger donors. Danger Mouse is 15, which means she’s a really difficult cat to adopt out because she is older, but what Danger Mouse really really needs a hero who will give her the happy retirement she deserves! Learn more about the joys of having a senior cat here. Click on Danger Mouse’s name to learn how to make her your forever kitty. New York has a huge stray animal problem, and there’s little government action on this; most of the animal rescue in NYC is done by unfunded volunteer rescuers. Animal Care and Control, the only government-funded animal rescue entity, is a kill shelter, and though it has improved in recent years, it still operates largely by working with volunteer groups that “pull” animals from ACC. Volunteer rescuers were (many still are) spending huge amounts of money out of their own pockets to help stray animals. Six years ago, a group of animal rescuers working independently got together to brainstorm ways in which we could all work together more efficiently and perhaps improve the situation for everyone. At the time, there were many individuals and tiny groups doing the work, but the only larger group had recently disbanded. In the end, five of us remained and formed Brooklyn Animal Action. Our hope was to obtain non-profit (501 c 3) status so we could raise money for struggling animal rescuers, rehome animals ourselves, and perhaps go beyond that and lobby for policies to improve the lives of Brooklyn’s animals (and people). This is the mission statement on our website: Working with our communities, we find homes for adoptable animals, facilitate Trap-Neuter-Release programs, perform community outreach and education and advocate for animal welfare. Since 2010, BAA has found homes for over 2,000 cats (and a few dogs) and TNR’d hundreds more. We believe in working together to create a better life for New York’s animals. I should add that working with the community is a big part of what we do. We get dozens of emails each week from people asking us for help with animals, and that’s very important to us. Casper and Coco: Caspar has mild Cerebellur Hypoplasia, which just means he wobbles! We’d like him to go with his best buddy Coco. Cats with Cerebellur Hypoplasia live normal, happy, full lives and you can learn more about CH cats here. 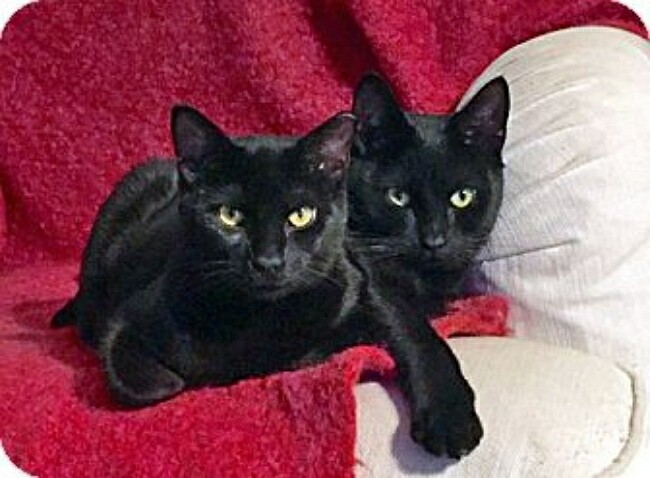 Click on the boys names to learn more about adopting this adorable pair. We have a number of regular rescuers who pick up animals on their own in their neighborhoods or help people who approach them with rescued animals. We also get dozens of inquiries each week from people who have rescued animals or need to surrender their own animals for a wide variety of reasons: allergies, moving or moving to apartments that don’t allow animals (we wish there was a law against this! ), or death of the owner. Some of our rescuers pull cats regularly from Animal Care and Control, the city kill shelter (they send out daily euthanasia lists). In spring, also known as “kitten season,” we are overrun with kittens; ACC regularly euthanizes litters of kittens brought to it, but we try very hard to rescue as many as we can (NYC badly needs some accessible and free spay/neuter options for ordinary people, not just for rescue groups – that’s another huge problem, as spay/neuter without a rescue discount can cost as much as $ 400). Devo, whose full name is Delightful Lapcat Devo, is a ham as well as one of the sweetest and calmest cats we have ever rescued. He definitely seems like an “old soul” and is quite special. He is gentle and perfect with children. Click on Devo’s name to learn about how you can adopt him. …we can’t take in every animal that people would like to give us. Our regular rescuers often do take in cats, and they have basements and living rooms full of cages! But in most cases, we need to find foster homes for the animals, and while we have a network of fosters, we never have enough. People who approach us for help are usually asked to hold the animals for the time being or find someone who can. That’s our biggest need. The animals (usually cats) are then taken to one of our vets or to the ASPCA or Toby Project for basic vet care: vaccinations, testing for FIV/FeLV, and spay/neuter if they are old enough. Many of the cats need more than just basic care, so we get that done as well. We are lucky to have wonderful vets working with us, but they need to make a living too, so vet care is not free, and it’s our biggest expense. After that, we list the cats on our website and on Petfinder, Adopt-a-Pet and other sites. …except for a very small number of cats with illnesses or very difficult personalities – one of us ends up keeping those. 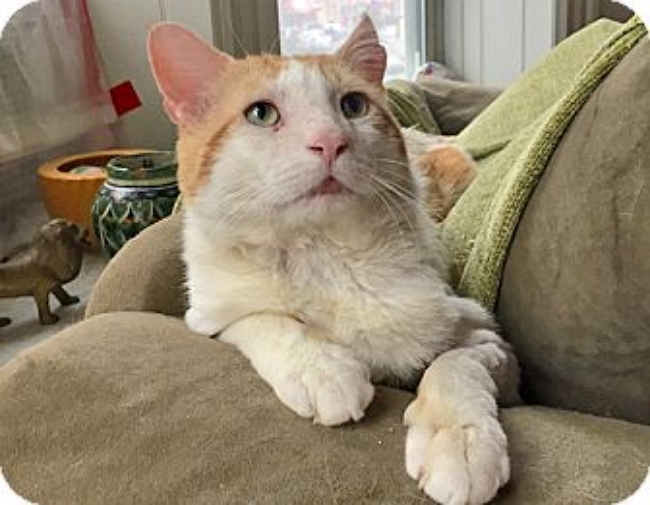 Cadbury, also known as Egg-sellent Cadbury as he was found around Easter, such a sweetie, got returned by an adopter for some silly reason, and he’s FIV+ but that’s not very serious. You can learn more about living with FIV+ cats here. Click on this handsome boy’s name to see how you can bring him home. We require potential adopters to fill out an application and provide references, and we also ask for an adoption fee for each cat. Adopters first visit the cat at the foster home (or meet it at one of our adoption events), and we contact references before the cat goes home with them. We generally take the cat to the home, so that we can see where they are going. Theo’s Story: There are so many. Several years ago, a rescuer brought us a cat who had been on the street since he was a kitten – five years. A year ago, he had been bitten in the front leg by a dog, and the leg was in terrible shape; at first we weren’t sure he would make it at all. 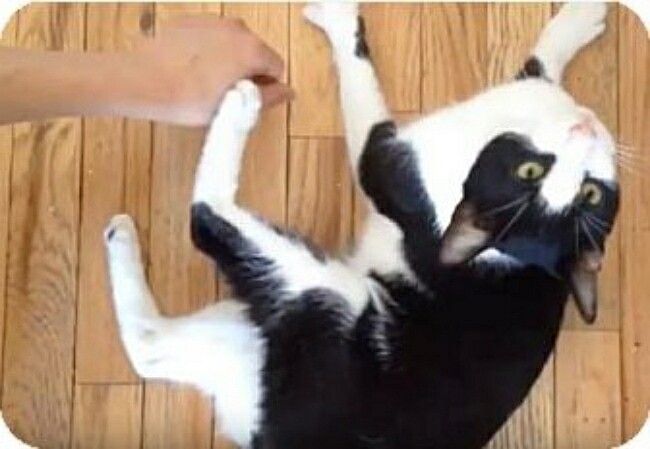 But he was such a sweet cat! The vet was able to amputate the leg – we raised money for the operation through an online campaign. Today Theo is in a wonderful home with people who adore him – he’s even driven cross-country. Mama Cat: Some people rescued a female cat, and then the rescuers realized she was lactating – they let her back out and soon she brought three kittens back in through their basement window! They contacted us, fostered the kittens and the cat, and ended up keeping two of the kittens themselves; the mom and the other kitten went to good homes. Free Cat: A few years ago a very cool cat was found on the sidewalk in a box marked “free cat,” and the person who found him contacted us. We worked with another rescue group and he found a home. Orange Crush: One of our rescuers got a call from someone who worked in a supermarket and was beside herself because a little orange kitten had gotten his paw crushed by machinery and no one was doing anything. She went and got the kitten and one of our amazing veterinarians operated and managed to save the paw (naturally, we named him “Orange Crush”). That adorable kitten was adopted by a journalist who writes for Cosmo. Kitten on a Bridge: The other day one of our regular rescuers saved a tiny kitten on the Triborough Bridge! She and a truck driver literally stopped traffic and managed to grab the little one. And there are always the cats who are really nasty or really scared and come around with a lot of loving care from their fosters. There are SO many stories! We are doing a walkathon over the Brooklyn Bridge on Saturday – it’s a little last minute, unfortunately, but there’s still time to sign up and walk with us, or donate! Even as little as $ 10 helps us buy some cat food or get a cat vaccinated. Brooklyn Animal Action Always Needs Foster Homes! We have lots of easy cats if you’re just starting out; if you’re willing and able to give some extra time to a shy or difficult cat, or one who needs medication, or kittens that need socializing or extra attention, that helps so much. And if you fall in love and decide to adopt your foster cat, we’ll be okay with that too. Here are our fostering FAQs. Right now we could also use someone who has expertise with Excel spreadsheets to help us keep track of our adoption history for several of our donors and for possible grants. And any web experts who would like to help us keep our website updated. And good writers who’d like to help write our animal listings – they have to sound good so people will want to adopt! We are now working with the Brooklyn Borough President, Eric Adams, who’s an animal lover, because we feel strongly that there’s only so much volunteer groups can do – there are tens of thousands of animals on the street, and that requires action by the city government on many fronts. One thing that animal lovers can do is ask their elected representatives to support animal rescue work –by funding Animal Care and Control sufficiently so that it doesn’t need to euthanize animals, and by helping volunteer rescue groups. That doesn’t mean just money: it means spay/neuter campaigns, making inexpensive or free spay/neuter available, particularly in low-income neighborhoods, making sure that animal abuse is prosecuted, encouraging landlords to allow animals, and many other important non-monetary things. All of that would make our work easier.